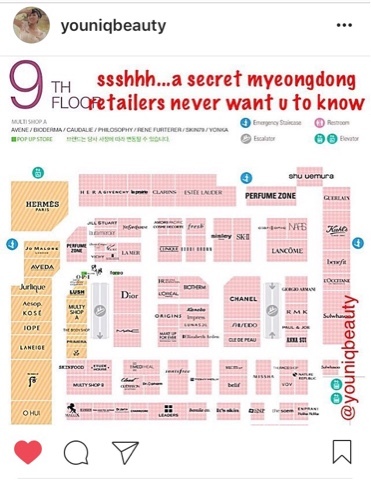 I was graciously given permission to re-post this information by @youniqbeauty on Instagram. 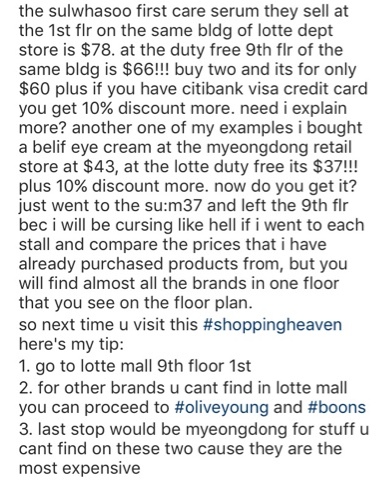 This post highlights the layout of the LOTTE DUTY FREE Store in Myeongdong! 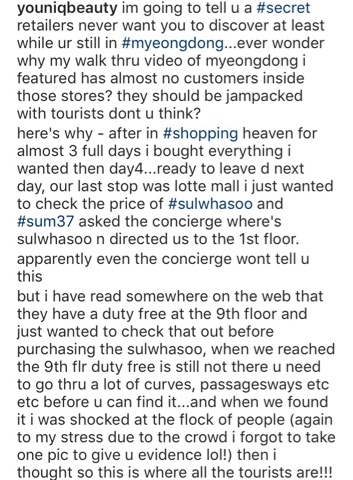 As I have kinda sorta mentioned on my post about Dr. Jart and StyleNanda, and as savvy shoppers know, you have to shop at the Duty Free store for better prices on CERTAIN BRANDS. 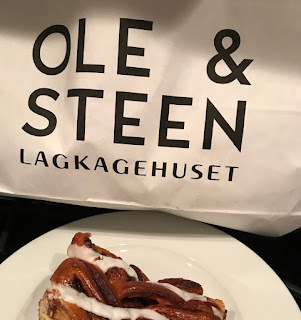 The other great thing about shopping Duty Free is that at Lotte Duty Free Stores, you get at least an additional 10% off for using a Visa card! (As you see below she mentions a specific type of Visa card, but it's actually for any credit/debit card with a Visa logo on it). Depending on the status level of your credit card and how much you're purchasing, you might also be able to save an even larger percentage!